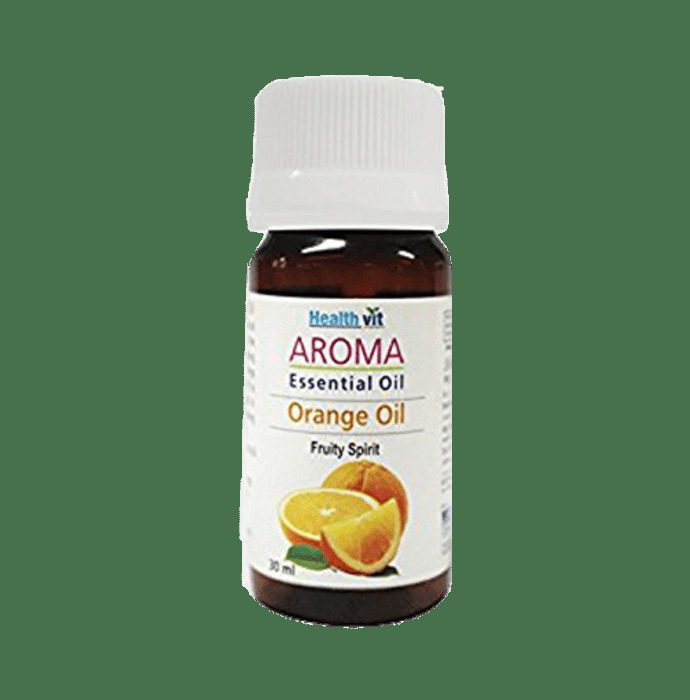 Healthvit Aroma Orange Essential oil contains pure orange oil. Useful for skin also used in aromatherapy. Add 1 or 2 drops of essential oil to your chosen carrier oil & blend well. Keep out of reach of children. Do not apply directly on the skin as it may cause irritation. For external use only. Store in a cool and dry place.